Walkie Talkies is perfect for continuous communication between a team of workers/security staff/ law enforcement officers and is often used for transporting money and executing floor to floor checks. 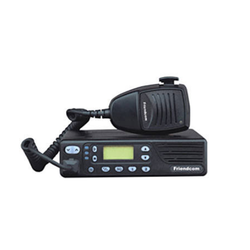 In simple terms, it is a hand held, portable, two way radio transceiver. These products come with the facility for conferencing. We offer these high quality products at market leading prices. Owing to our in-depth knowledge in this domain, we are specialized in providing Eternity EPABX. We have highly acknowledged organization engaged in presenting a remarkable range of PBX Communication System. Systems available in the market leave you with no other option but to go in for either a low end model, there by sacrificing many hi-tech features, or a high-tech model that would cost much more and you have to settle with feature's that you really don't need. As a result, Brocade facilitates strategic business objectives such as consolidation, network convergence, virtualization, and cloud computing. Data Communication System is widely used in various telecommunications and various applications for transferring the data from one end to another. These products are highly applauded in the market owning to their significant properties such as durability, reliability and longer service life. We supply these products, which are made using optimum quality materials based on versatile technology.